July 7, 2017 August 4, 2017 / Julie Brook, Esq. The party opposing summary judgment has one objective: Convince the court that there’s at least one “triable issue of material fact.” CCP §437c(c). This objective should guide every aspect of the opposition’s separate statement and supporting memorandum. Cal Rules of Ct 3.1350(e). 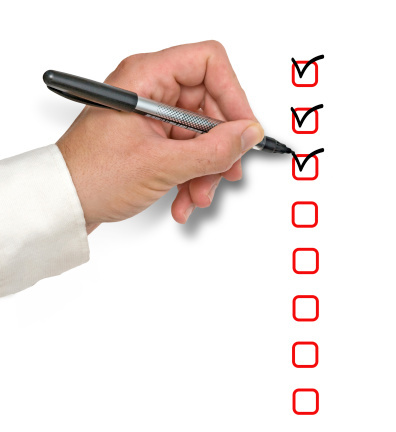 Here are checklists to help you meet all requirements and prepare these opposition documents to their best effect. ___ 1. Have you requested the electronic version of the moving party’s separate statement? You should request this immediately to avoid having to retype the information into the first column. See Cal Rules of Ct 3.1350(i). An electronic version is particularly useful when the moving party’s separate statement is very long and includes many “undisputed” facts. Plainly and concisely list any other material facts that the opposing party contends are disputed. Although not uncommon, it’s risky to state an objection to the moving party’s evidentiary showing without indicating whether the fact itself is disputed. If the objection is overruled, the fact will be deemed undisputed. So, make clear in the opposition separate statement whether each fact set out in the moving party’s separate statement is disputed or undisputed regardless of whether you’re making an objection. __ 3. Have you referenced your affirmative evidence? The opposition separate statement must reference each material disputed fact to supporting evidence. __ 4. Have you complied with the two-column format required by Cal Rules of Ct 3.1350(f)? First column: Repeats each material fact claimed by the moving party to be undisputed followed by the evidence advanced by the moving party to establish that fact. Describe the evidence supporting the position that the fact is controverted, with citation to exhibit, title, page, and line numbers. ___ 1. Have you specified the material fact(s) in dispute? Include citations holding that the moving party has the burden of showing there is no triable issue of fact. ___ 2. Have you countered each of the moving party’s arguments? Try to mirror the moving party’s memorandum so that the judge won’t overlook specific opposing points and will more easily grasp why the motion should be denied. ___ 3. Have you distinguished the moving party’s authorities with well thought out reasons as to why they don’t apply? Your memorandum will be more credible if it doesn’t ignore cases that support the moving party’s position. __ 4. Is your memorandum no more than 20 pages? The format requirements for the opposing memorandum are the same as for the supporting memorandum: It can’t exceed 20 pages, apart from exhibits, declarations, attachment, a table of contents, a table of authorities, or the proof of service. Cal Rules of Ct 3.1113(d). For practical guidance on all aspects of preparing the opposition papers, turn to CEB’s California Summary Judgment, chap 7. And to learn everything that you need to know about opposing a summary judgment motion, view CEB’s program Summary Judgment: Identifying Disputed Material Facts, Opposing Legal Argument & Facts, Reframing the Issues, Evidentiary Objections, and the Reply Brief. Check out these other CEBblog™ relating to summary judgment. ← Does an Ethical Breach Bar an Attorney from Getting Fees?